Gregory co-founded The Valentine Project in 2010 while he was still in high school in Alliance, Ohio. Gregory met Karlie Plas at a camp for kids with cancer; The Valentine Project is in honor of her. Gradually, his family and theirs became close. As a teenager, he already understood that loving service to others was not just a duty, it was a privilege. His number one goal was always to make Karlie smile, and now he works to send children love, hope, and joy in Karlie’s memory. He serves on our Board of Directors and is the Founding Executive Director of our recently formed San Francisco branch of The Valentine Project. 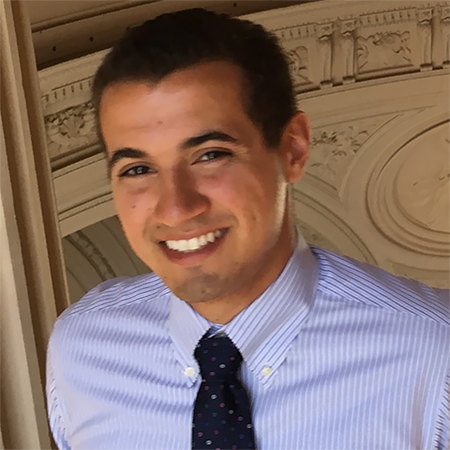 Gregory is a graduate of Grinnell College, and currently works in Disaster Management and Preparedness for the San Francisco Recreation and Parks Department. He plans to attend graduate school next year. In his free time, he is training for his next half marathon, learning to navigate San Francisco life on a budget, and always dreaming up new ways to help more children whose lives are affected by cancer or chronic illness. He is our networker-in-chief, always bringing people together to support The Valentine Project. The Valentine Project is very grateful for Gregory’s determination and dedication, helping serve more and more children each year.